Former Rep. Trey Gowdy is joining Fox News as a contributor. “In this role, he will offer political and legal analysis” on both Fox News Channel and Fox Business Network, the network said in a statement Wednesday. The South Carolina Republican announced in January 2018 it would be his last year serving in Congress. Gowdy was first elected to Congress in 2010 and frequently said during his Capitol Hill tenure he planned to eventually retire and practice law. Gowdy served as chairman of the House Oversight Committee and the House Select Committee on Benghazi, which spent over two and a half years investigating the events surrounding the 2012 terrorist attack on U.S. government facilities in Libya. Since leaving Congress earlier this month, Gowdy has taken a job with a prominent South Carolina law firm Nelson Mullins Riley & Scarborough. He is the latest politician to be scooped up by a news network. CNN announced Tuesday it had hired Andrew Gillum, the Democratic Tallahassee mayor who lost the 2018 Florida gubernatorial election, as a political commentator. Former Sen. Jeff Flake, R-Ariz., also signed on as contributor at CBS News this week. 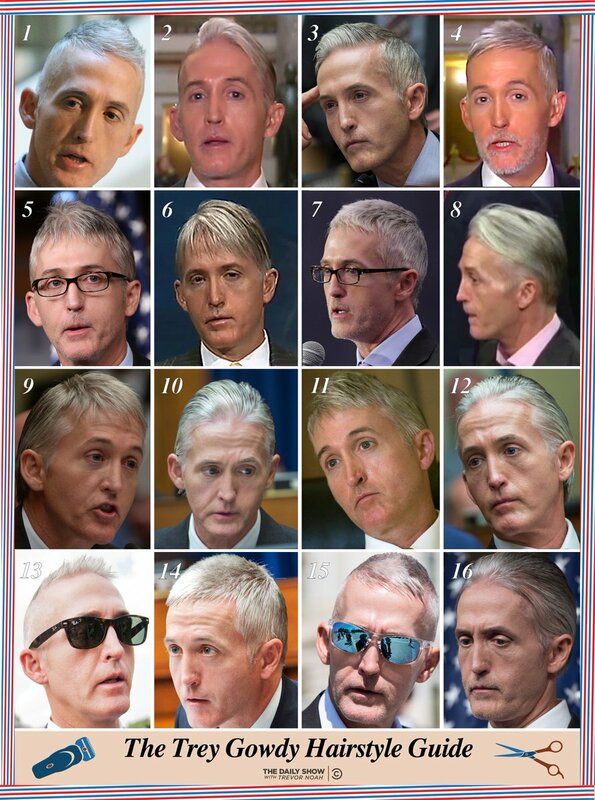 Trey Gowdy? Wow, what a scoop huh? So he's another Sherlock Holmes, no doubt? House and nothing will change at FOX!!! Why don't you get a haircut and get a real job. Fox News has announced former South Carolina Congressman Trey Gowdy will be joining the network as a contributor offering political and legal commentary. Gowdy joins a growing number of politicians slipping out of the public arena to provide political punditry for major networks. Earlier this week, former senator Jeff Flake signed with CBS while former Republican governor of Ohio and potential challenger to President Trump in 2020, John Kasich, joined CNN. True colors come shining through. Now who will NBC and ABC get for their own version of Joe Scarborough? Better paying gig for his all-opinion-but-little-substance position. I do enjoy his opinion. OOOH! A Trey Chic chart!